Adjustable strap for ID115/ ID115HR Smart Bracelet Fitness Tracker. 【Contracted Design】Designed for ID115/ID115HR fitness tracker.If you want to order replacement strap for ID115HR Plus, ID115Plus HR ,please search B07BS75WLY. 【Adjustable Strap】Wearable length between 140mm(5.5 inch) min and 210mm(8.26 inch) max. 【Charm Color】Various colors optional, makes your moreFit Slim looks less sporty and more like a fashion accessory.You won't never worred about the light color will dirty anymore.Change a new one ,change a good monemt. 【Comfortable Material 】High quality TPE material. 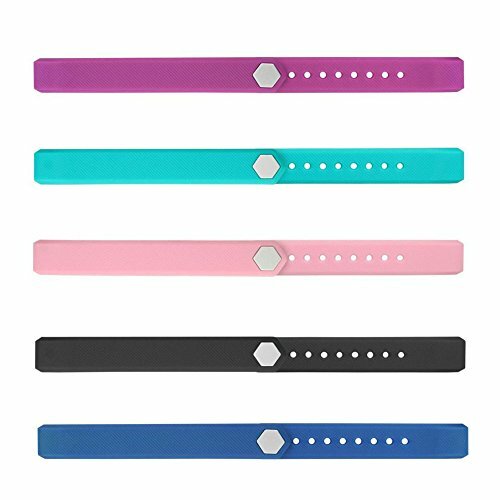 【Quantity】Set of 5 (Black, Purple,Teal,Pink,Blue), make it easy to create a look of your smart watch that fits any occasion. If you have any questions about this product by REDGO, contact us by completing and submitting the form below. If you are looking for a specif part number, please include it with your message.